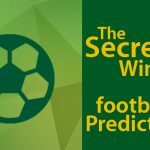 Lets Look at the Top Football Prediction Sites we have Out there. The first time i ever used a football prediction site was after i got tired of losing my self-predicted games. I was really bad and i kept predicting games that made me lose more money. So when i started looking for solutions i stumbled on some prediction sites that really helped cause then i had to apply my wisdom at the games they provided. I also had to take note on the specific leagues they were very good at while i avoided the rest. 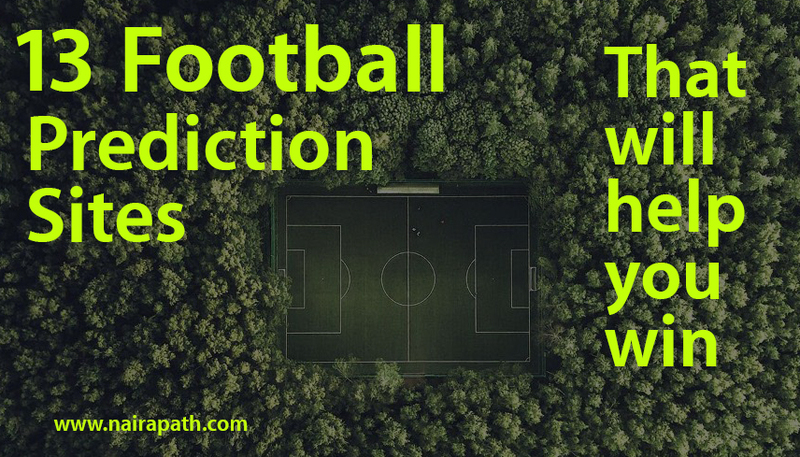 So today i would be sharing with you the Top 13 Free Football Prediction Sites i came across and actually used for myself. Soccervista have been providing free football predictions since 1999, they have some interesting feature as you can also see a correct score prediction along side the main tip they provide. You can choose the date and league of the tips you want to see and also they give in-depth review of how each league football works. 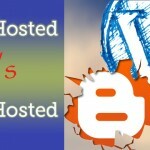 Prosoccer provides up to four different sports prediction and is among the very top football prediction site there is. You would want to look out for their tips above 70% in green color boxes. The higher the percentage the better chance of it coming through but then in football anything can happen. from the 1X2 Under/Over 2.5 HT/FT Both To Score Double chance Handicap Corners to the Goal Scorers. I think it should be illegal to have a site like FreeSuperTips out there with free access to all their predictions to the public haha. On several occasion i have seen them win many whooping odds like 120, 170, 60 and 30 odds tickets which they actually do post for free. Really impressed with the work they put in. 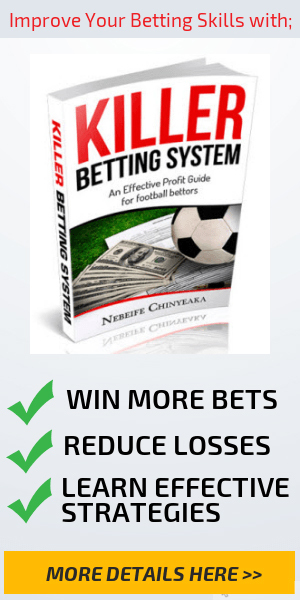 Bettingexpert is more of a competition prediction site where many good tipsters drop good tips on football matches and also other sports. when using them try to sort by yield to see tipsters with really good winning ratios. and so on, its just a wonderful tool to work with. I never really got to know the full meaning of OLBG but i like the sound of it cause every time i visit them i just go straight to their today’s popular tips and choose games to work with. they also predict other sports, its a good one! BetExplorer shows you almost everything you need to bet a game, the percentage of winning, the odds movement and one thing to really take note of is the odds at which teams had, when they won their previous Head to Head games. Sometimes that says it all. I consider this two prediction sites to be similar as they have the same features and almost predict the same outcomes on games. Zulubet is a good one too, i normally go for their tips with over 70% rate, works for me. 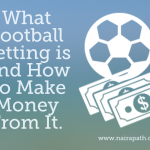 Soccerpunter is a competition website where many tipsters register and play with a visual money to see who comes first at the end of every month as there is a reward to be given. the website on its front page gives a daily banker though very small odd at times but by viewing the placed bets of the tipsters you can pick up some really good games to make money from. i wrote the article on FREE prediction sites NOT Paid Prediction site, more over i have not used them so i cant recommend them.